The work concerns the American effort to exploit German scientific and technical personnel after the Second World War. Project Paperclip ultimately contributed to the space program, although many of the scientists used by the government were involved in war crimes. Dr. Crim’s focus is the intersection of Cold War diplomacy, military necessity, and international law. 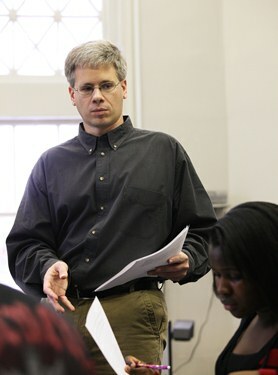 Dr. Crim’s primary research interests revolve around war, political violence, and antisemitism in modern Germany, specifically during the Weimar Republic. He is most interested in how German Jews negotiated a collective identity in a hostile environment. He participated in the 2011 Jack and Anita Hess Seminar for Faculty: “Teaching about the Holocaust through Eyewitness Testimony: Using Interviews and Memoirs in the Classroom,” at the United States Holocaust Memorial Museum. Participants in the seminar were chosen competitively from a broad spectrum of college and university faculties, including: Boston College, Brandeis University, Georgetown University, Indiana University, and the University of North Carolina at Chapel Hill.